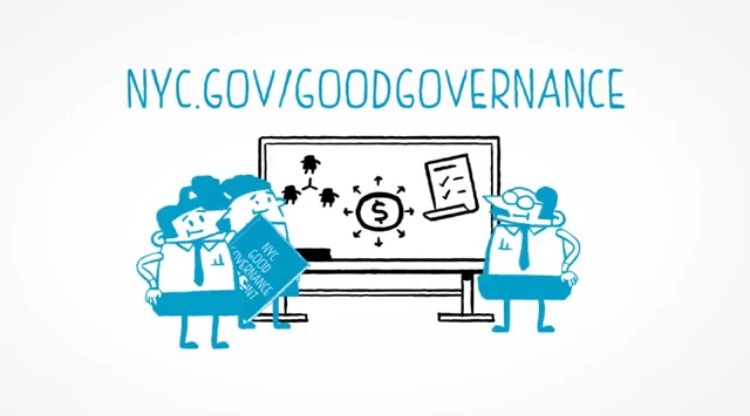 The NYC Good Governance Summer Academy provides nonprofit executive leadership with the knowledge, tools, and resources to improve their board governance practices, as well as build a community of support and learning among participants. Summer Academy trainings are facilitated by members of the NYC Nonprofit Board Development Coalition, a group of nonprofit governance experts led by NYC Service. Training material is based on the NYC Good Governance Blueprint, which includes best practices, resources, and tools around governance for nonprofit executives and board members. This resource was also developed by the NYC Nonprofit Board Development Coalition. NYC nonprofits in transition: including leadership (ED/CEO or board) and/or business model transitions. Please direct all inquiries to Crystal Avila, NYC Service Capacity Building Coordinator, at CAvila@cityhall.nyc.gov.